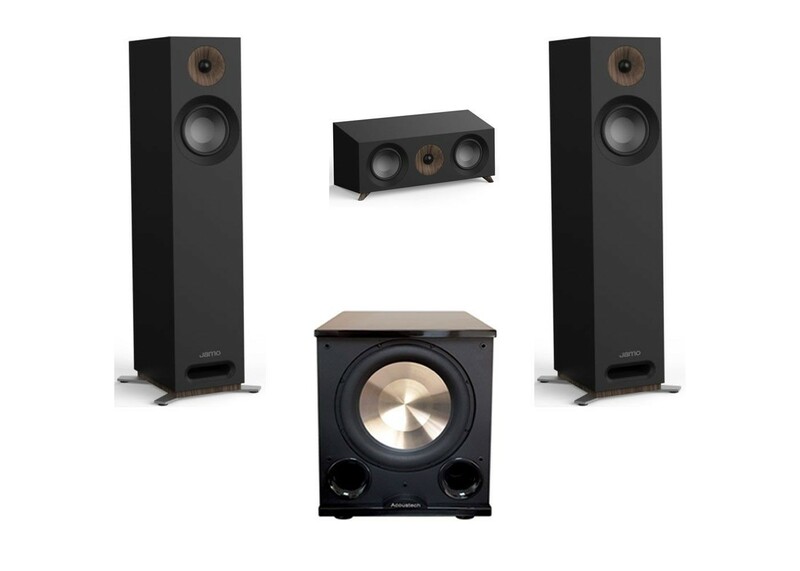 Jamo Studio series S 805 Floorstanding Speakers - The compact cabinet of the S 805 allows for extremely versatile placement options, whether it’s part of a high performance home cinema, or standing alone as a 2-channel listening system in a chic, fashionable living space. Jamo Studio series S 81 Center Speaker - The S 81 CEN is engineered for clear, balanced dialogue reproduction, making it an ideal center channel for a premium surround sound system. The WaveGuide focuses frequencies in the vocal range directly to the listening area so dialogue is clear, articulate, and realistic, and you never miss a detail. PL-200 II is powered by an audiophile state-of-the-art BASH amplifier capable of delivering up to 1000-watts dynamic peak output. Its specially designed heavy duty long-throw 12” woofer can move an impressive volume of air with exquisite control while delivering prodigious amounts of bass for both music and theater applications.